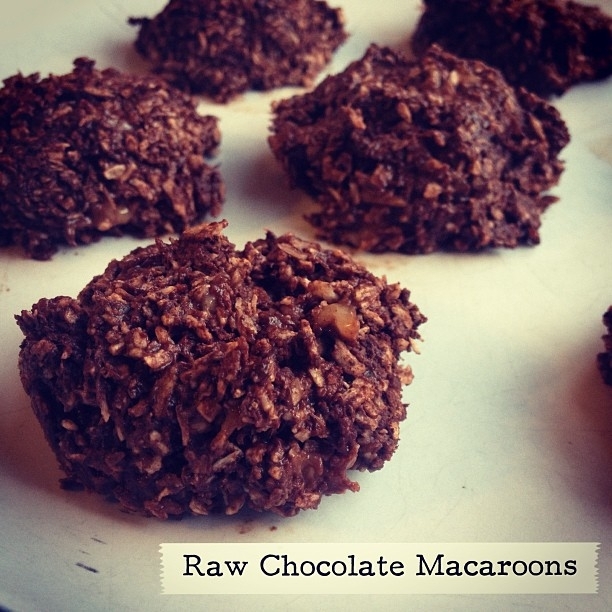 Delicious raw macaroons with a chocolate twist! Mix the ingredients, and place in mounds on a baking sheet. Freeze for around 30 minutes.